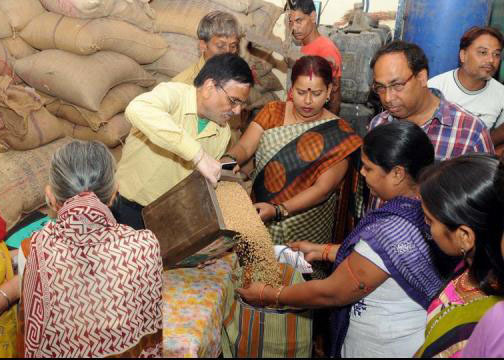 Meghalaya on Tuesday launched its first automated fair price shops as a pilot project to check rampant thievery of foodgrains under the Public Distribution System (PDS). In the first phase of the pilot project, ten such shops were selected in the State capital through installation of electronic Point of Sale (ePoS) devices. The ePoS will record the sale of subsidized foodgrains to beneficiaries. The system will also generate an electronic slip mentioning the details of the beneficiaries, price and quantity of rations delivered. The Director of Food Civil Supplies and Consumer Affairs, IR Sangma, said the pilot project is an initiative of the Centre. The aim is to reduce leakage and diversion of commodities. “The initiative will ensure distribution of rations to real beneficiaries under the Food Security Act in a transparent manner,” Sangma said. Under the new system of electronic surveillance of PDS, control rooms will be set up in respective Deputy Commissioners’ offices in all the districts. These control rooms will closely monitor the stock in the FCI godowns, wholesalers picking up the items and distributing them to the fair price shops and subsequently delivery to beneficiaries through the digitalized network.